When choosing which bow you should use you must first consider how you will be using it and to what end you will be using it. These are two very important items that must be answered, but before you can answer that question you have to know what kinds of bows there are and how they are used. 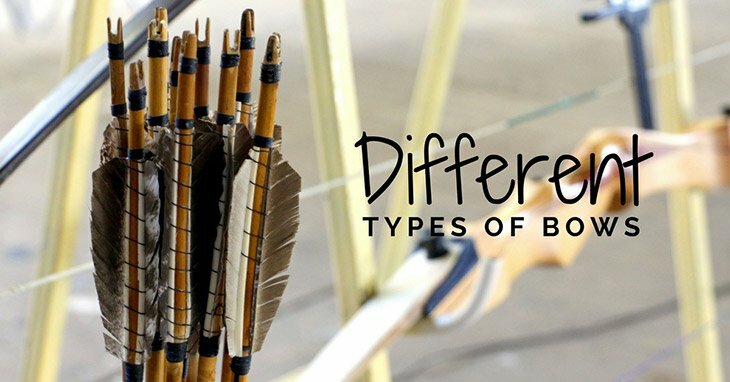 There are three different types of bows - each type has a unique design and background, and each type is suited for a specific purpose. We’ve broken those details down for you below so you can become more knowledgeable about archery and more adept at using specific types of bows. Recurve bows are a standard for beginners or Olympic archers alike. The reason for that is they typically range in draw weight, bow height, and style. They have been used for centuries, even after the longbow went out of style. Recurve bows are great for beginners and experts alike. There are great resources out there for finding the right recurve for you. Check out here for some great ideas for an affordable, quality recurve. Longbows are the granddad of the bow family. These bows were used in medieval times when the earliest bow technology was just starting to come about. There are some significant differences that you must keep in mind before choosing this type of bow. The first is that, unlike the recurve, the draw on this bow will not be as long. Most likely, you will not be able to get it to your check. This once popular bow is still popular among certain communities, but if you are looking for ease of use or a more functional bow, you may want to try one of the other bows on this list. RELATED: What is the Best Longbow for Hunting? Compound bows have really taken off since their advent some years ago. The compound bow is definitely one of the bows you should consider when choosing a bow. This bow is highly versatile, easy to use, and extremely powerful. This bow is the top pick on many people’s list because of these reasons. The distinguishing feature of the compound bow is the draw. About half-way through the draw, the draw weight decreases to more than half of the original weight. This means you can hold the draw for longer, and when you release the arrow has significantly more power than the two bows above. One of the reasons this is the bow of choice for so many people is the lack of cons. Most people choose this kind of bow when it comes to hunting, target shooting, shooting on a course, shooting in a field, and competitive shooting. There are so many different kinds of compound bows to choose from. To give you a better idea of the different types of bows and the shooting styles they participate in, the following chart should help you in narrowing down the right equipment selection. What kind of shooting do you want to try? There are so many great bows to choose from! But when you are choosing a bow, it is important to consider what you will be using your bow for. If you are going to hunt, we recommend the compound bow because of its stopping power. But if you are in a competition or are looking to shoot for fun, or even small game, then a recurve bow would meet your needs just as well. And if you are looking to have fun, hunt small game, and get involved in a niche then the longbow is ideal. Whatever your choice, be safe and have fun. Hey there, I’m Jennifer, a mother of two sons, and I really enjoy the outdoor world. I take advantage of my spare time to hunt the deer with a bow. I founded BuckWithBow blog so that I can share my hunting experiences in the woods and thus help you discover a couple of tricks, tips and essential skills that will make you a successful bow hunter. What Colors Can Deer See? When Can Deer See More Clearly? Back Tension vs Thumb Release: What is the Best Way to Use Them? Thumb Release vs Trigger Release: What is the Best Release and Why? How Much Draw Weight Is Needed To Kill A Deer? Why Is It Bad To Dry Fire A Bow? BuckWithBow.com is a participant in the Amazon Services LLC Associates Program, an affiliate advertising program designed to provide a means for sites to earn advertising fees by advertising and linking to Amazon.com. Additionally, BuckWithBow.com participates in various other affiliate programs, and we sometimes get a commission through purchases made through our links. Copyright 2016-2018 by Buck With Bow. All rights reserved.